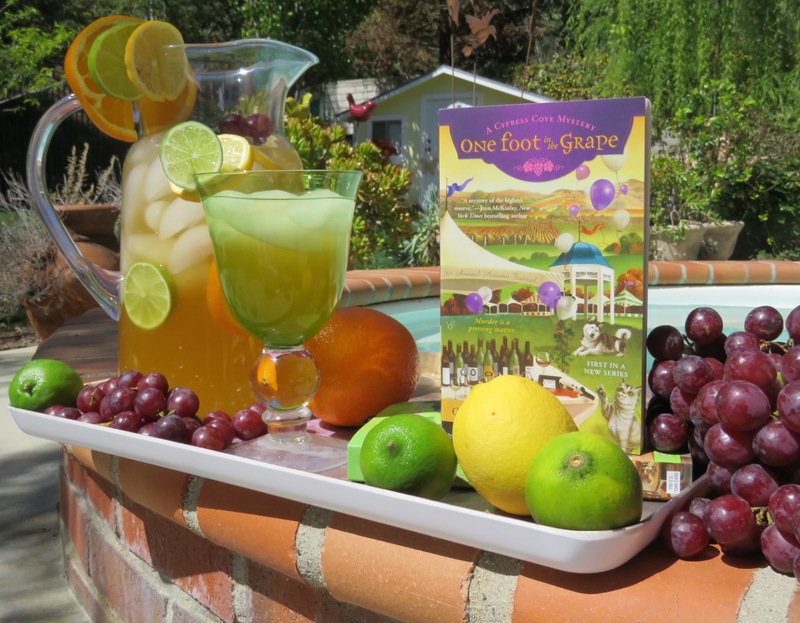 Author Carlene O'Neil is here today matching her new book, One Foot in the Grape with the perfect recipe for Sangria. 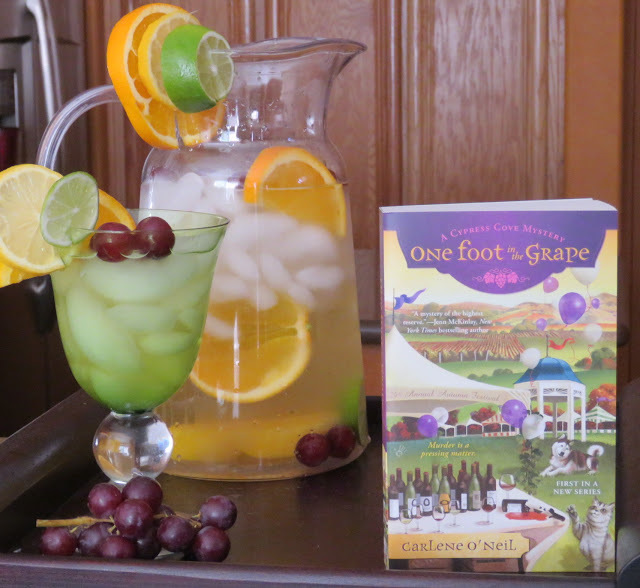 One Foot in the Grape is the first in the Cypress Cove Mystery series from Berkley Prime Crime. The books are set on a winery along the central California coast and feature amateur sleuth, Penny Lively. After losing her job as a photojournalist, Penny is trying to get her life back in focus. Returning to the family winery may be the fresh start she needs, but it doesn’t take long for Penny’s innate curiosity to get her in trouble. Someone’s been spoiling the wine. Penny hunts for the culprit, but her search for answers sours after she finds a body on the neighboring winery. Combine the peach schnapps, cognac, sugar and fruit. Chill for at least one hour. Just before serving stir in white wine and ginger ale. The book sounds fabulous and I want to sit at the pool and have the sangria now! Looks like the ultimate location to relax with a tasty drink in hand! Sounds like a great story and a great drink. Can't wait for the ending and will make more drinks. I am definitely going to have to add this to my reading list and my recipe list. I'm always in the mood for a good book!